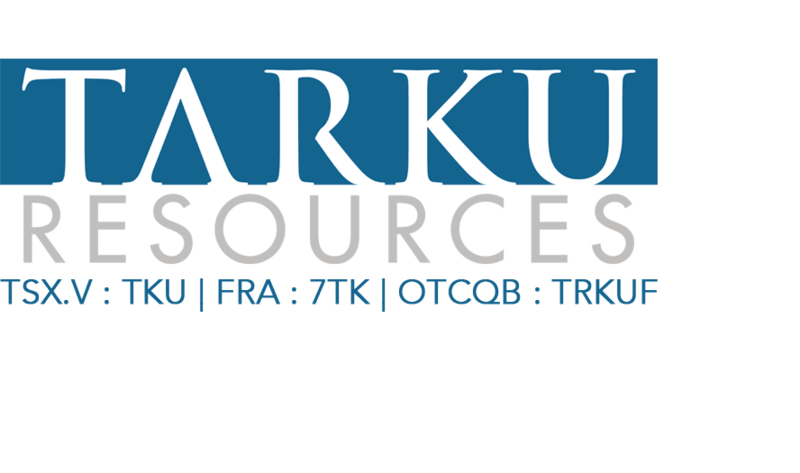 SASKATOON, SASKATCHEWAN - Jan. 12, 2017 - Tarku Resources Ltd. (TSX VENTURE:TKU) (the "Company") announces that it has entered into a purchase agreement (the "Agreement") to acquire a 100% undivided interest in 29 mineral claims, comprising approximately 1,625 hectares or 16.25 sq/km, near the Municipality of Matagami, Quebec (the "Property"), with Services de Marketing The Ask ("The Ask") and Syndicated Capital Corp. ("Syndicated"), together the "Vendors." Both Vendors are arm's length parties to the Company, their current ownership in the claims is 75% and 25%, respectively. an aggregate cash payment of $15,000, upon approval of the TSX-Venture Exchange. issuance of 800,000 common shares upon, approval of the TSX-Venture Exchange. Mr. Sylvain Laberge, President and CEO of Tarku, remarks "We are pleased to add this property to our portfolio. It furthers our mandate of expanding our position in prospective properties in Northern Québec".